The biggest management admission test in the country, Management Aptitude Test or MAT grants the ticket to nearly 600 B-schools in India. 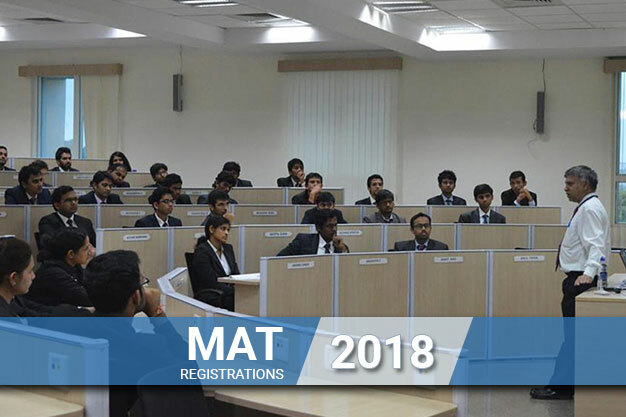 Started back in 1998 by the All India Management Association (AIMA) to create a standard management test to envelope all B-schools in India, MAT registration has now become essential amongst MBA entrance exams in India. MAT Registration for December exam will begin in the first week of October. While CAT gathers headlines for top IIMs and B-schools, MAT registration is essential for admission to other B-schools opening their doors to management aspirants in India. MAT Registration takes place four times every year. This affords candidates the opportunity to participate in separate intakes every year and the chance to give the exam again during the same year rather than waiting a whole long year. The exam is held every year during the months of February, May, September and December. MAT registration usually starts two months prior the exam. 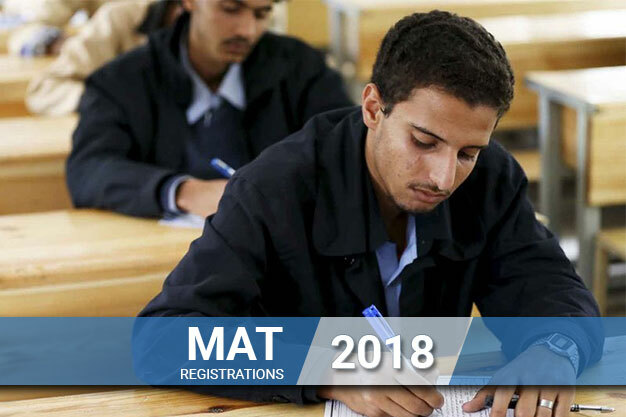 For December 2017, MAT registration will thus begin during the first week of October. While IIMs and other top B-schools such as XLRI do not consider MAT scores, several other AICTE accredited B-schools accept and set cutoffs based on MAT scores. MAT registration remains crucial for management aspirants across India. The question is valid. With so many entrance exams around the corner, why does MAT exam registration necessitate a candidate’s concern? CAT, XAT and SNAP open doors to plenty of colleges in their own right and most colleges accept CAT scores, so why is MAT registration important? The answer lies in relative difficulty and choice. Besides having the choice of choosing out of four different months every year, MAT is relatively easier than CAT, XAT and SNAP. If a student is weaker in a particular section on the CAT level, he/she will find it easier to score in MAT. At the end of the day, decent colleges accept MAT scores every year. By analysing strengths and weaknesses, completing MAT registration is a no brainer. Choice of college also plays a part. With more colleges accepting MAT scores, a good performance opens doors to a number of colleges. Unlike CAT where getting a poor score will lead nowhere, MAT registration generally lands candidates is a reasonably good college. Click on the link for MAT registration form on AIMA online portal. Fill in the personal details and provide valid email ID. Upload photo and signature towards the end of the page. Submit the information entered on the MAT registration form. Make sure the email id entered is valid as application number and other details will be sent by email. Scanned image of photo and signature should not exceed 50 kb. MAT registration will be complete after admit cards are released two weeks prior to the exam. Take a printout of the MAT registration form. Paste a passport size photograph and sign on the dotted line. Post the form to AIMA Delhi office along with Demand Draft to initiate MAT registration. DD has to be made in favour of 'All India Management Association' payable at New Delhi. MAT registration fee through DD is INR 1652. Admit card will be released online though. MAT registration will be deemed incomplete if admit card is not obtained. MAT registration can be done offline as well. MAT Application forms are available at all AIMA offices for INR 1652. A passport size photograph will also be needed to complete MAT registration. After MAT registration, candidates can download the admit card from the exam website which is usually released two weeks' prior to the exam. Without admit card MAT registration will be considered incomplete. MAT registration for three of the four exams is over. For the MAT December exam, registration will begin in the first week of October. The exam can be given in both paper pencil form or a computer based test. MAT Exam Dates(paper based) is on December 3 this year. The online exam date has been set on December 9 and may carry on after the allotted date if some candidates are unable to sit for the exam. For February exam next year, MAT registration will begin in the second week of December and continue until the end of January. The exam itself will be conducted in the first and second week of February. Mathematical Skills: Percentages, algebra, averages, time distance problems etc. Though MAT registration is a no brainer, MAT preparation is a cumbersome process needing great will and grit. Planning is the key for any exam and MAT is no different. With a vast number of questions to tackle and a mountain of time in between, it is essential to formulate a concise study plan. Focusing on scoring in relatively easier sections seems easier, but cracking the difficult can prove a big rank differential. Competitive Exams are all about relativity. Learning to leave a question is an art. With negative marking across the question paper, it is sometimes essential to leave some questions where doubt exists. Scoring 800 is not the target, but outscoring everyone else is. Attempting mock tests abilities in a simulated examination environment. This increases familiarity with the exam pattern and helps in developing favourable in-exam strategies when faced with a problem. Being confounded on the day of the exam is the last thing as candidate wants. Do not consult too many books while preparing. Stick to what you find most comfortable and develop a strong work ethic. Surrounding yourself with books does seem tempting, but it disturbs the coherence needed to prepare for MAT. Following well known authors diligently and solving any particular test series is more than enough to be ready for MAT. Lastly, stay healthy. Nothing besides questions and answers should an aspirant. A punctured body is no help to a developing mind. The IIMs and other prominent B-schools usually sing a different song when it comes to admissions. While over 600 colleges accept MAT scores, the IIMs along with other B-schools do not consider MAT scores as a criterion for admissions. One of the many reasons students apply for MAT registration. Situated in the Manipal, Ta Pai is one of India's best B-schools. Its PGDM programme stands as one of India best amongst other colleges accepting MAT scores. Top notch faculty and infrastructure coupled with excellent alumni reviews make Ta Pai an irresistible choice for any B-school aspirant. Its MAT cut off stands roughly around 700. Though NIT Warangal is traditionally a very reputed engineering college, its MBA programme has also garnered praise over the year. Its MAT cutoff stands at an average of 600 and has all regular MBA specializations on offer. Set in the Silicon Valley of India, Alliance Business School is consistently ranked amongst the top private B-schools in India. Affiliated to Alliance University, the school provides MBA programmes in all prominent branches such as Finance, Marketing, HR and so on. The average MAT cutoff for Alliance reaches around 600 every year. Ranked the best B-school in Hyderabad and one of the best private B-schools in India, IPE is another B-school consistently heard during MAT registration. With its MAT cutoff at 650, IPE offers only PGDM programmes in general specializations. XIME Bangalore has slowly crept into one of India's best B-schools. While premier Xavier institutes do not consider MAT registrations, XIME does accept MAT scores as an admission parameter and remains a big reason behind students going for MAT registration. Along with its sisters B-schools, XIME provides only PGDM in General Management as of 2017. Its MAT cutoff is roughly around 700. BIMM is an AICTE approved B-school located in Pune. While it stays lower down the pecking order for MBA aspirants in India, it nevertheless is reputed to have a decent business programme. Easily Pune's best B-school, it remains a top priority for students appearing for MAH-CET. Offering only PGDM courses in general management, HR and marketing, the MAT cutoff for BIMM goes as high as 600. With its MAT cutoff at 600, qualifying for its PGDM programme is no mean feat. Though SCMS sometimes divides opinion, no one disputes it simulated corporate environment and placement record. Usually landing amongst one of the better B-schools amongst a basket of bad apples, SCMS provides only provides PGDM courses and begins admissions its MAT cutoff at nearly 600 every year. Another well-known Birla institute, BIT Mesra stands as one of India's better colleges despite sharing its name with its more illustrious sister college in Pilani. More famous for its engineering programme, BIT Mesra has slowly made its name amongst other B-schools as a top draw college for post-graduation in management. The college has a two year MBA programme only in General Management as it refrains from variety to focus on specific courses. With some notably well-known alumni in its ranks, expect this space to rise higher in a few years. BIT Mesra accepts MAT cutoff. I took entrance by KEA CET had got 22,580th rank in CET i choosed this college because of the reason that its a old college from many years and have a good experianced teaching faculty.